What Exactly is a Naturopathic Doctor? 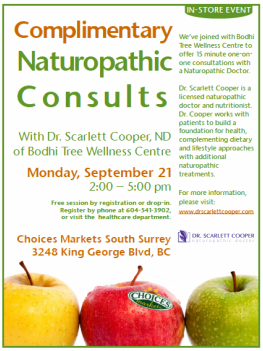 Register by calling 604.541.3902 or inquire in the healthcare department. 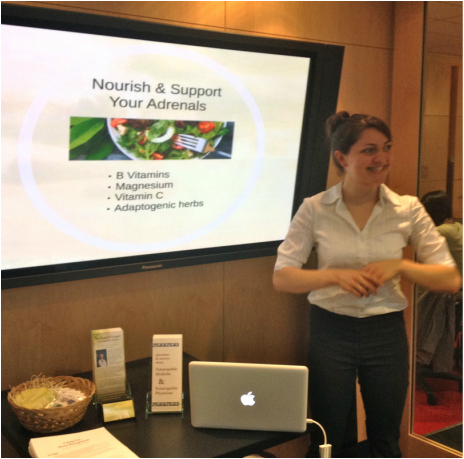 Dr. Armstrong holds sessions for complimentary consultations, gives talks and holds workshops on topics related to health and naturopathic medicine. Dr. Armstrong is available to speak at community events and private functions. If you would like to register for an event or are interested in having Dr. Armstrong at your event, please contact her directly. Click here to view ongoing talks and events at Choices Markets. Multiple locations in Vancouver, as well as Burnaby, South Surrey and Kelowna, BC. 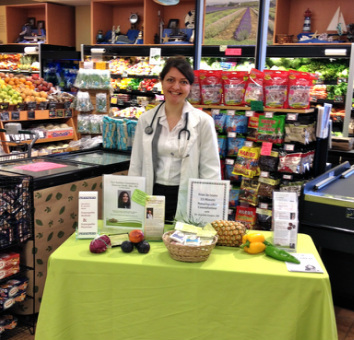 Dr. Cooper at Choices Market South Surrey, April 2015. 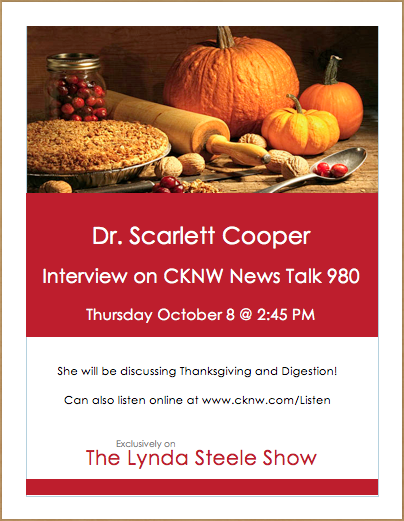 Dr. Cooper giving a free lecture to UBC students on Stress Management, March 2014. 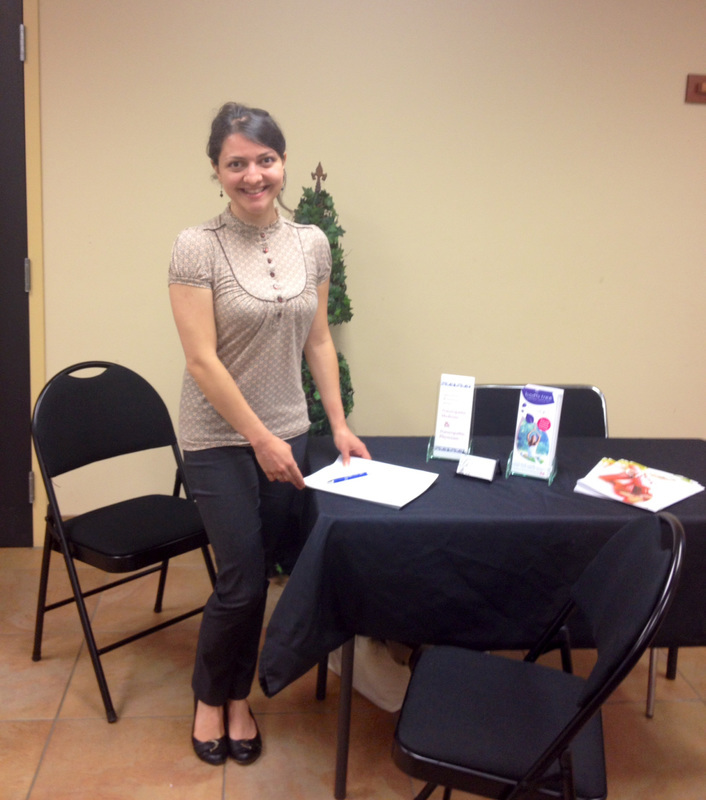 Dr. Armstrong at Choices Market answering questions about Naturopathic Medicine.